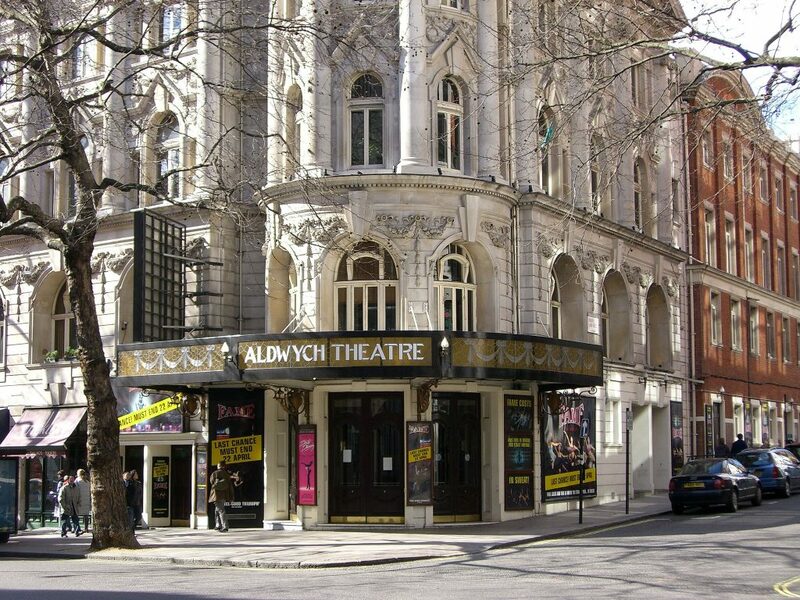 The Aldwych Theatre is situated on the Aldwych, next to The Waldorf Hotel. The Aldwych is a one way street. If you are coming by bus, travelling from the Waterloo or Trafalgar Square direction, buses stop on the Aldwych. Buses travelling from the opposite direction stop on the Strand and you will have to cross over the Strand at the two pedestrian crossings and walk towards the Waldorf Hotel. If you are arriving by national rail or London underground, the nearest station is Charing Cross, which is on the Northern and Bakerloo lines. It is about a fifteen minute walk to the theatre. Take the exit from the station for The Strand and turn right, heading away from Trafalgar Square. The Aldwych is at the far end of the Strand on the left. You will then need to follow the Aldwych round for 50 yards. There is a taxi rank outside Charing Cross by the Strand exit. If you are using London Underground Central line, you can get off at Holborn station. From the station, turn left onto the Kingsway. The Aldwych is at the bottom. Turn right and cross over Kingsway using the pelican crossing and the Theatre is on your right about 50 yards away, just after you have crossed over Drury Lane. If you are arriving by car, there are parking metres on Drury Lane. Finding parking spaces can sometimes be very difficult, and parking restrictions are strictly enforced. There is an NCP car park near the New London Theatre at the top of Drury Lane. However,we do not recommend driving to the theatre unless essential. Please also be advised that the Aldwych Theatre is not part of the Masterpark discount scheme. The main entrance to the theatre is located at the front of the building on the Aldwych. There are three sets of swing doors and the central set are pinned open prior to a performance. There is one small step through the doorway and then a short flight of five marble steps with brass handrails, up into the foyer. Please note that these steps can sometimes be slippery especially if it has been raining. The foyer is long and narrow. The Box office is on the right and there is a large merchandise counter on the left. At the end of this counter there is a cloakroom, where you can collect your headsets. Large print and Braille cast lists will also be available here. If you would like to listen to the introductory notes, you should collect your headset in good time to take your seat fifteen minutes before the start of the performance. Directly ahead at the back of the foyer is the entrance to the stalls, which is flanked on either side by a flight of 15 steps which goes up to the dress circle level. A second entrance to the theatre is located on the side of the theatre on Drury lane. Customers with Grand Circle or Upper Circle tickets should enter the theatre here. There is a small step up to enter the theatre then a further twenty four bearing to the left. There’s a handrail on both sides of the staircase. This entrance is open approximately half an hour before the performance starts. Once the performance has started these doors will be closed and all customers will need to use the front main entrance. There’s also a wheelchair accessible entrance on the side of the theatre. Please inform a member of staff at the front doors, if you wish you wish to use this. Toilets are located on all levels. There is an accessible toilet on the Dress Circle level with level access which is reached via the side door on Drury Lane. If you wish to use this please ask a member of staff. To get to the stalls auditorium go through the entrance at the back of the foyer and then turn either right or left, depending on your seat number and down a long curving flight of stairs. These will take you directly into the auditorium. The interior is Edwardian and still retains many of its original features. It has three tiers which curve round in a horse shoe shape and are painted a dark grey green. It seats 1163 people. The front of the Dress Circle and Upper Circles are decorated with curving flower garlands in the classical style and painted gold. Over the centre of the stalls is an impressive golden dome ceiling with a central chandelier. Two boxes overhang on either side of the stage. The theatre seats are flip up and most have armrests. There is no centre aisle, and access is from each end of the row. The seats in the dress circle are raked quite steeply and the aisles have steps. At the Aldwych Theatre guide dogs are welcome, although the theatre does not have any facilities for looking after guide dogs during performances. Guide dogs may stay with their owners in the auditorium. If you are bringing a Guide Dog and have not already informed the theatre, or if you require any further information before your visit, please call 020 7379 3367 between the hours of 10am and 8pm.